A sample roller was provided at no cost for test and evaluation. 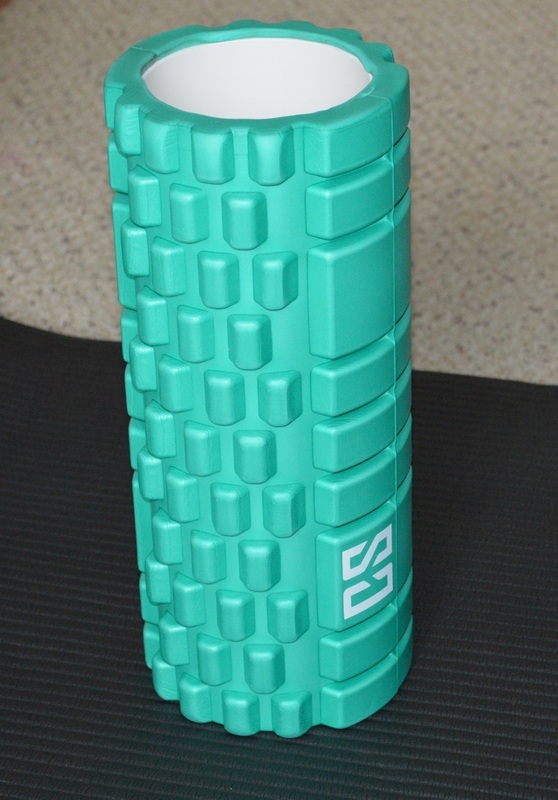 Foam rollers, such as this one, are designed to deliver a self-administered massage for sore muscles and, used appropriately, can be very useful to address those knots that can develop with repetitive workouts. I find the subject of myofascial release fascinating. 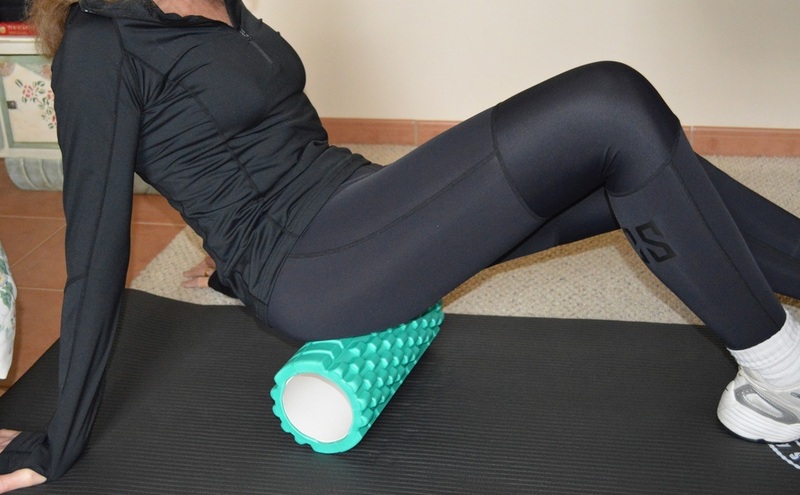 There are many videos and articles available online that explain the principles of self-massage and how to use these types of rollers and I would recommend a little research to get the most out of your purchase. I suffer from recurrent back pain and one of my favourite things is to place the roller on the carpet (or on the bed when starting out) and stretch my back over it, very slowly, one bit at a time. Often I hear a few cracks that remind me of when I used to go to the chiropractor's. 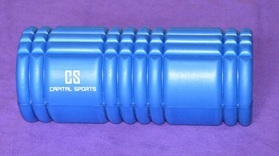 A roller like this is most useful after exercising to relax muscles that have been put under some stress. I like to massage my largest muscle, the gluteus maximus (or backside if you will), which can get rather tense and painful. There are so many nerve endings in that area that can trigger pain elsewhere and, for me, cause hip pain. I also massage the back of my thighs, allowing my body weight to do the work. Areas to avoid are the lower back, the neck and any joints and bones. The basic idea is to looking for sore spots in your large muscles and when you find one, you keep the pressure on the spot for 30-60 seconds and then move slowly on. Foam rollers vary in texture; some are quite soft, this one is medium-hard and the best kind for my purposes. I really like the three different patterns that roughly mimic the massaging action of fingertips, palms and forearms. The roller is made of quality materials that seem likely to last well with minimal care. I store mine on its round end, to keep the shape of the foam notches. Just a few minutes a day is enough to make a difference in my chronic pain and I can pick up the roller and use it any time my back or leg muscles feel tight. A free roller was provided for test and evaluation. I had seen these rollers before and wondered what they were all about and now I know. They massage and pamper your sore muscles and help to get the knots out. The whole subject of self-myofascial release is fascinating and I did some research before starting the practical test. 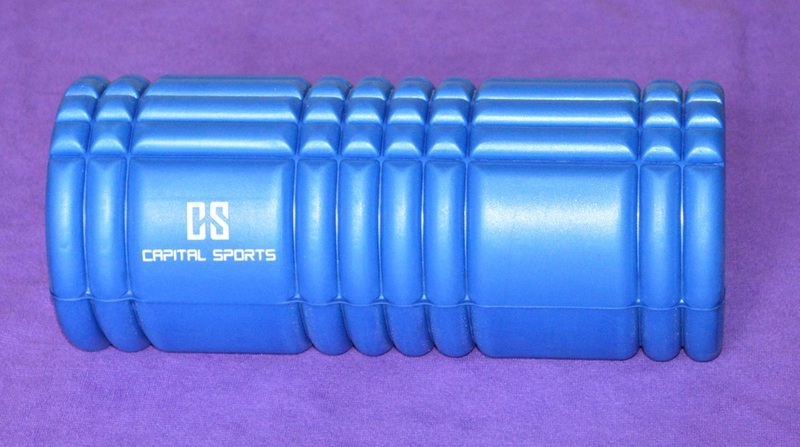 Fortunately there are many videos and articles available online that explain the principles of self-massage and how to use these types of rollers. 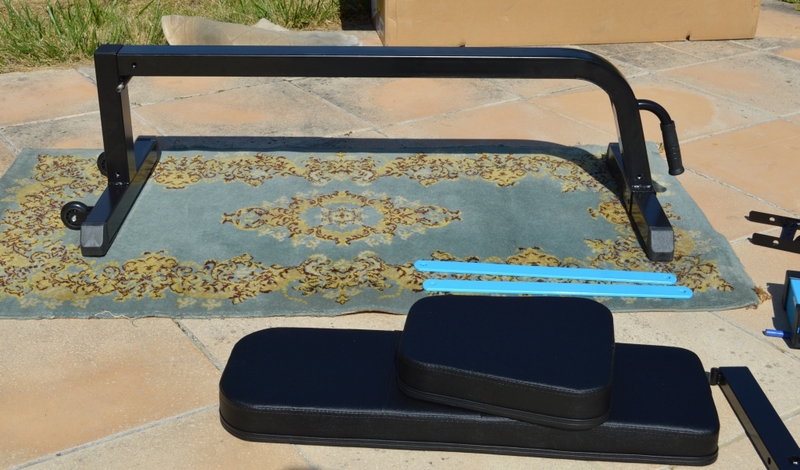 One of my favourite things is to place the roller on the carpet (or on the bed when starting out) and stretch my back over it, very slowly, one section at a time. The cracks I hear remind me of when I used to go to the chiropractor's. After exercising, I like to massage my largest muscle, the gluteus maximus (or backside in everyday terms), which is where I usually feel a lot of pain and tension. There are so many nerve endings there and I find that it eases my chronic hip pain. I also massage the back of my thighs, allowing my body weight to do the work. Areas to avoid are the lower back, the neck and any joints and bones. Basically you are looking for sore spots in your large muscles and when you find something, you stay on the spot for 30-60 seconds and then move slowly on. Some foam rollers are soft, some are harder like this one. What I like about it is that it has three different patterns of notches or bumps, roughly mimicking the action of fingertips, palms and forearms. 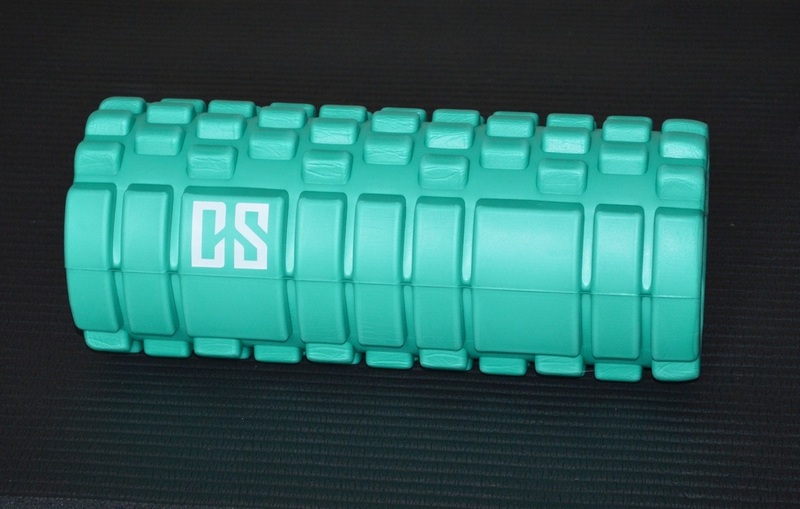 The roller is built tough and looks like a durable item that requires no maintenance. It was a surprise to me but just a few minutes each day helps me relax and is starting to ease some chronic pain that I thought would never go away. 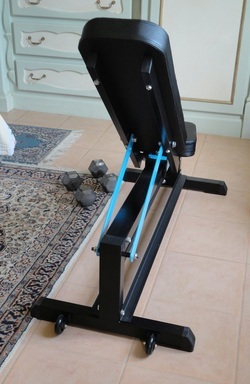 This is an excellent addition to a home gym set-up, especially if you are short on space, as it is so easy to move with the large front handle and the wheels at the back. Very manoeuvrable. 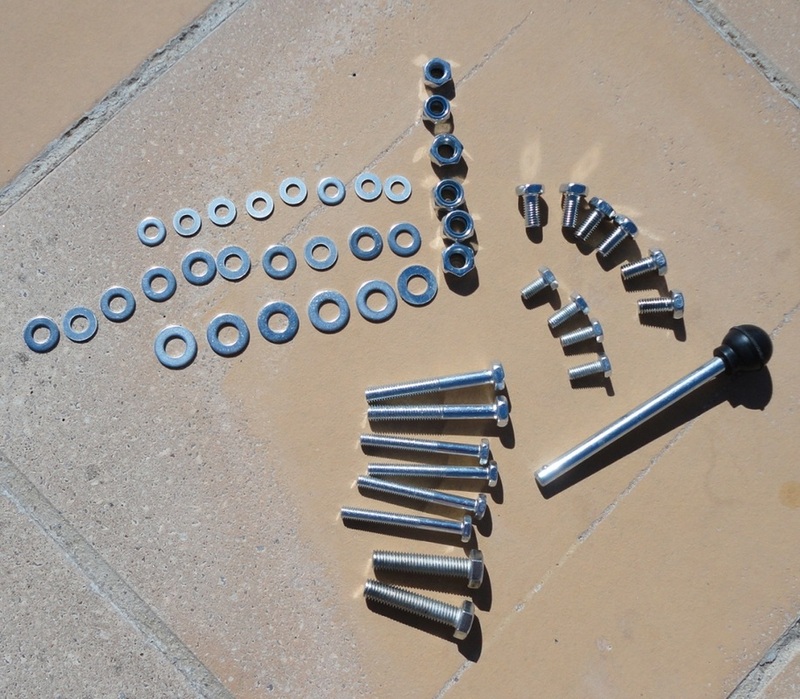 It arrives in a compact but heavy box; there are about 14 pieces and lots of nuts, bolts and washers. If you have ever assembled any flat-box piece of furniture, you should not have any problems putting the bench together. 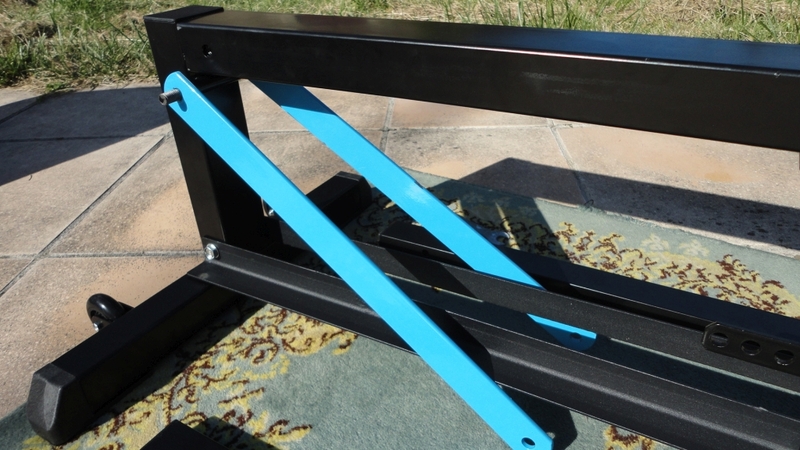 It took me a couple of hours and there was a tricky moment when I almost forgot to thread the sliding adjustment blue sleeve with the knob onto the main spar before attaching it to the rest of the frame, but that's me. I always manage to misread the diagrams. As usual, I find that identifying the hardware first is paramount. Once assembled, the bench works flawlessly. You can slide the seat to change the angle of the backrest, from completely flat and horizontal to fully upright, 90 degrees to the seat. You can also change the incline of the seat through four positions, tipping the front end up considerably. 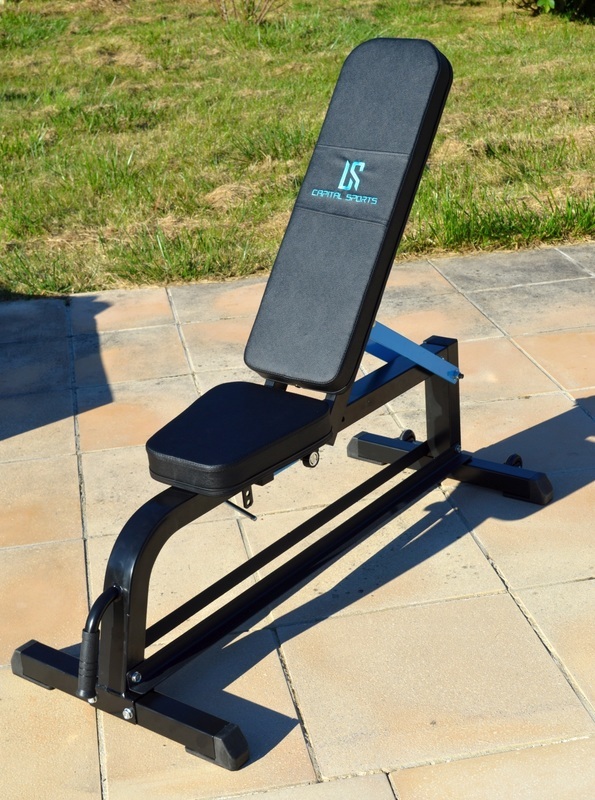 This range permits several workout routines and encourages correct posture while working with free weights. The bench is very solid and confidence-giving, nothing like our last one which felt very unsteady and wobbled all the time. 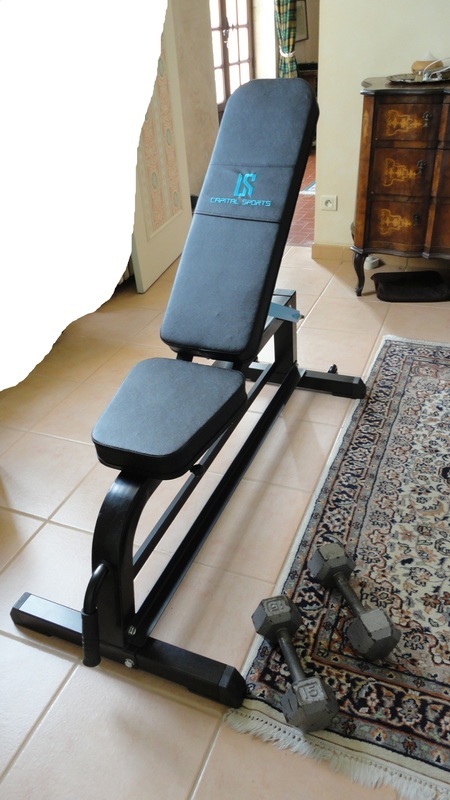 The cushions are quite stiff and grippy, giving the correct resistance and supporting the body properly. 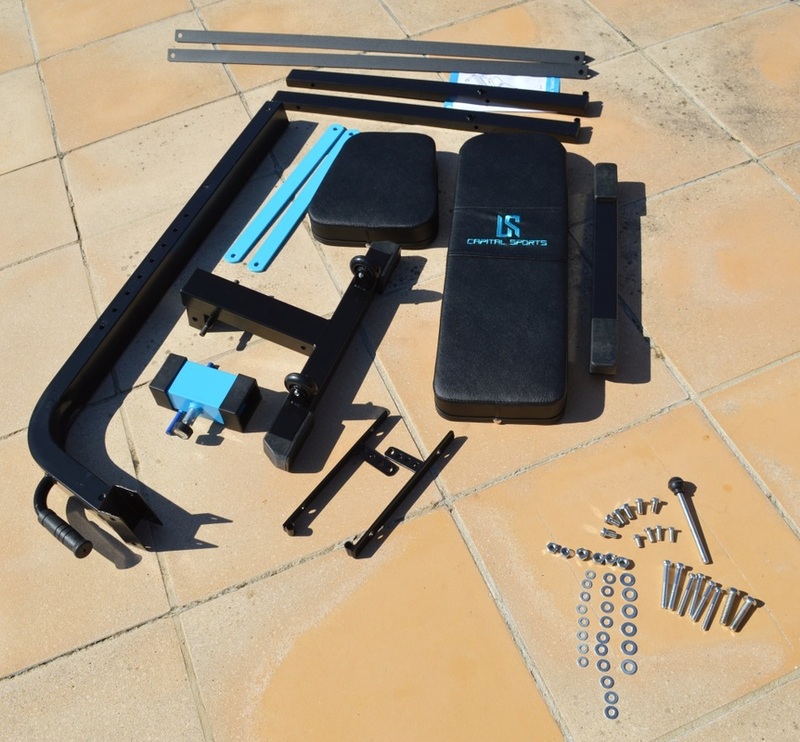 Everything about this bench is quality: the construction, the materials, the powder coating of the metal components, the way it all goes together, the stolid reliability of the seat. Although it is not a bulky item, it is correctly made and perfect for the home gym and easy to roll out of the way. It should last well and remain very smart-looking. We received a unit for an objective test and evaluation, and my husband has used it almost every day for well over two months, so I can speak of reliability based on a certain amount of experience. Over the years, my husband and I have used a variety of fitness equipment, both at the gym and at home, and were curious to see how this new model of elliptical cross-trainer would compare. First impressions are very good: the machine comes securely packaged, in a single box weighing around 28 kg (62 lbs). The actual exerciser weighs 25 kg (55 lbs) mostly due to the solid steel frame which ensures the required stability. Two small casters, integrated into the front stabilizer bar, allow you to tilt and move the whole thing fairly easily. Assembly is required but there is a very detailed step-by-step booklet with photos and diagrams which covers the entire process (it may help to scan and enlarge the drawings). 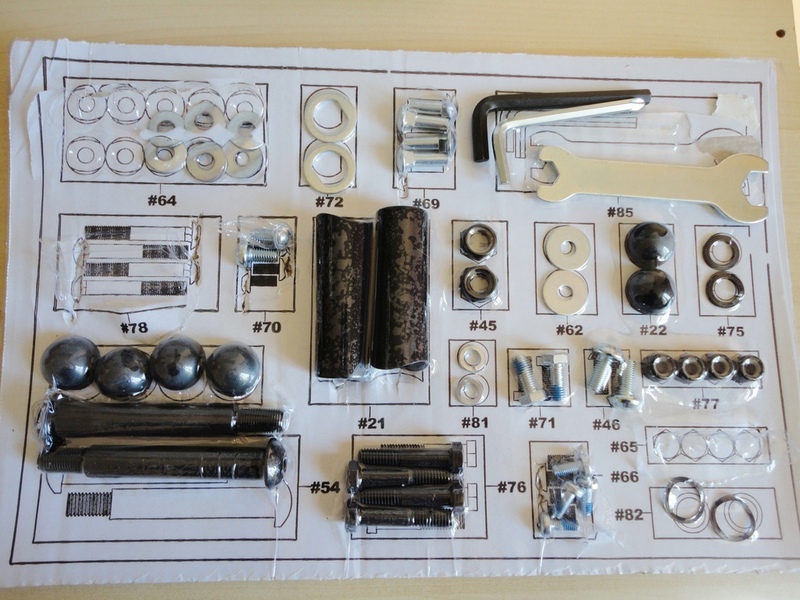 All the hardware and tools necessary for assembly are provided, numbered and cross-referenced to the diagrams. Not being terribly mechanical-minded, I found an early step challenging until I obtained clarification. It is discussed in the short video I made, and I believe Klarfit are reviewing the instructions. Once put together, the Ellifit FX 250 Pro is surprisingly compact. Its approximate size is 90 cm long x 51 cm wide (3 ft x 1 ft 8 in), and it is 150 cm in height (just short of 5 ft) to the top of the handlebars. The makers recommend allowing for 2 metres clearance all around it but, in practical terms, even less space would work. The frame is sturdy and confidence-giving. The handlebars and pedal rails are solid and very smooth in operation. The foot area is enclosed by a low rim but the size is generous and should accommodate most normal shoe sizes.edit. The handlebars and pedal rails are solid and very smooth in operation. The foot area is enclosed by a low rim but the size is generous and should accommodate most normal shoe sizes. Distance (how far you have travelled in the current workout). The central button (MODE) allows you to isolate any one of the above readings, or select the SCAN mode, which shows all the readings in sequence. The left button (SET) allows you to program targets for distance, time and calories. The right button (RESET) resets all readings except the Odometer. Removing the batteries (two AA standard batteries, which are provided) resets everything, including the Odometer cancelling the total distance covered. 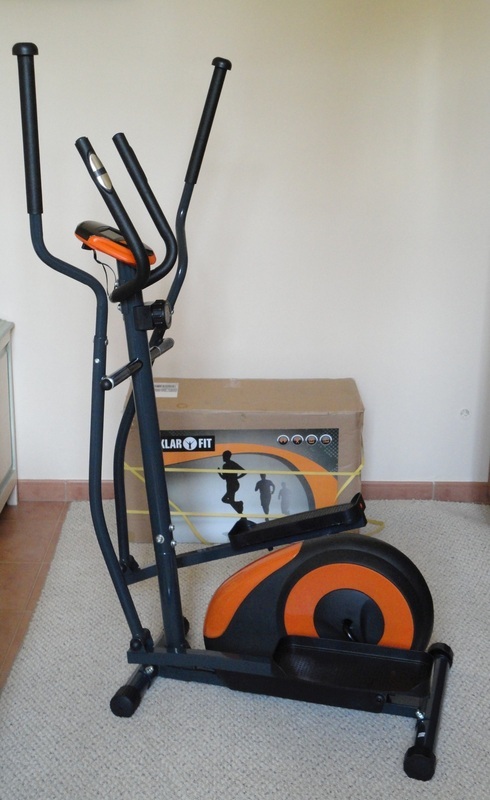 The Ellifit provides a fairly energetic workout, requiring a motion which is a combination of running, cycling and cross-country skiing, plus a certain bounce involving the hips, and co-ordinated arm movements when the hands grasp the outer (moving) handlebars. Even at the low end of the eight resistance settings, it gets your whole body going and brings the heart rate up fairly quickly. Unlike other static exercisers which lull you into a continuous, monotonous rhythm, the Ellifit is best suited to short bursts of effort, alternating with recovery periods, stretches or perhaps weight training. I found the pulse monitor quite reliable and very useful to gauge improvements in fitness. We know that the faster your heart rate returns to normal, the fitter your condition, but it certainly helps to have such an easy way to verify this. Just remember that the Pulse reading will only show when your hands are in contact with the metal sensors on the two central handlebars. With minimal practice, you can switch hand position on the move. My husband (who is a competitive Masters swimmer) and I have been using the Ellifit Pro on a daily basis and are both delighted with this cross-trainer and with the intensive workout it is capable of providing. Changing resistance levels is extremely easy, with the turn of a dial, and the small footprint means that the Ellifit is always ready for action, whether we have time to do a full training session, or simply jump on it for a couple of short bursts of activity. 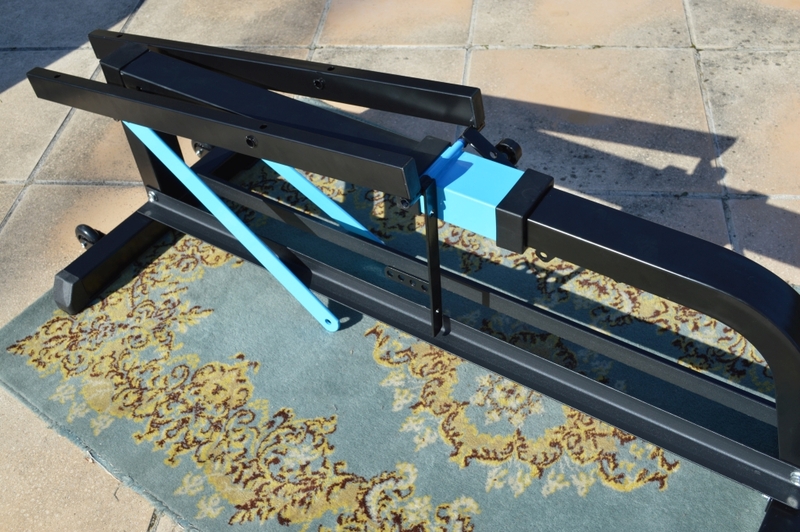 HiFi-Tower, makers of Klarfit, have been very responsive to our questions and seem genuinely committed to producing quality fitness equipment for the home user at an affordable price. We received a test machine for our objective and unbiased evaluation and review, but I would have been happy to pay what looks like a very reasonable price for this quality.